Yeah, it’s officially an addiction. 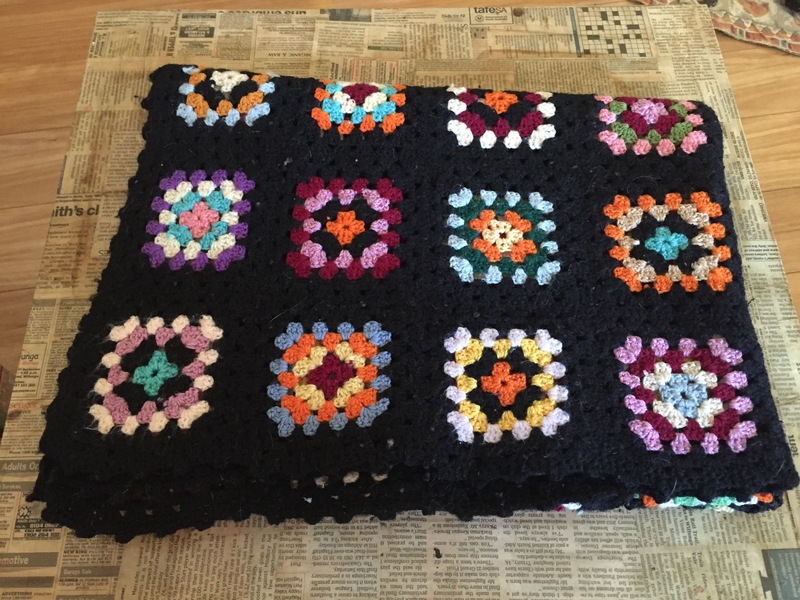 I’m addicted to op shopping (thrifting) but honestly, who could resist this stunning granny square crochet rug for $6? There’s weeks, months of hard work and love gone into it! It’s so gorgeous!!! And that wasn’t my only awesome score…. 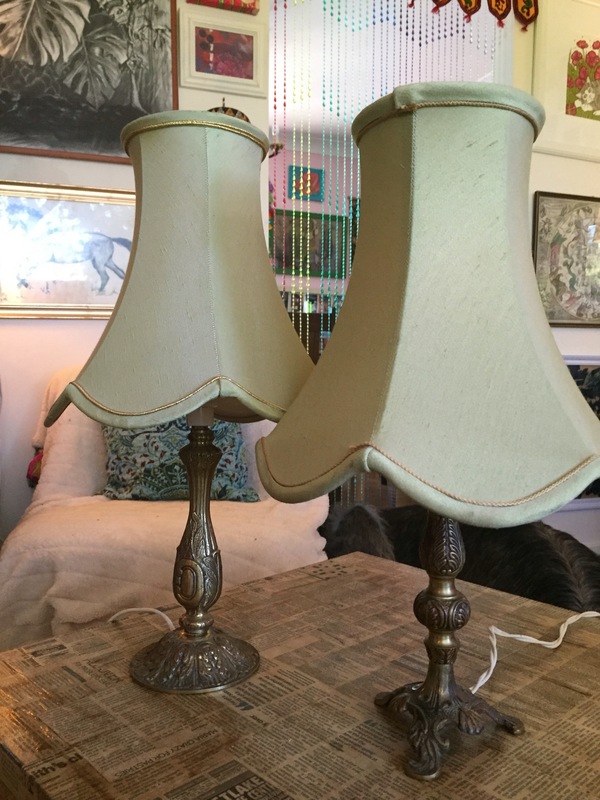 These two adorable brass lamps for just $7 each. I will change the shades and polish them up and they’ll look a treat! 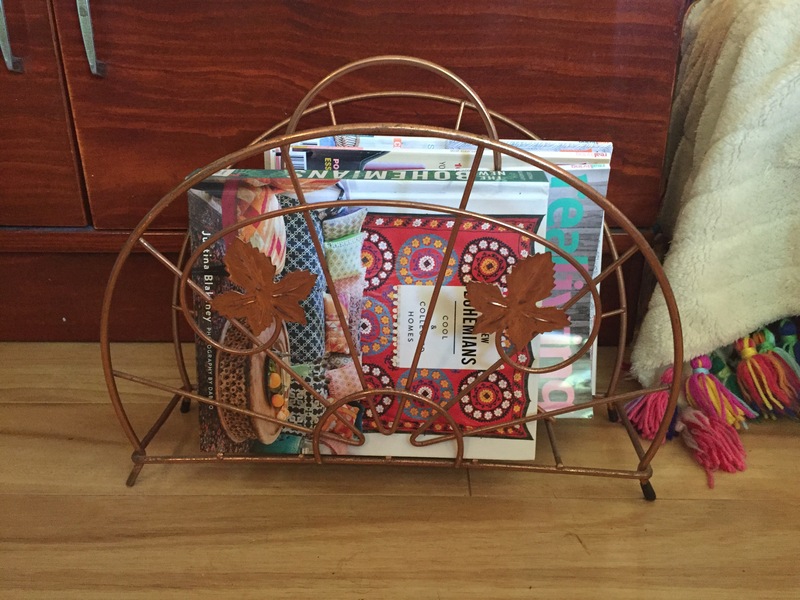 This divine copper magazine rack is in really good shape. 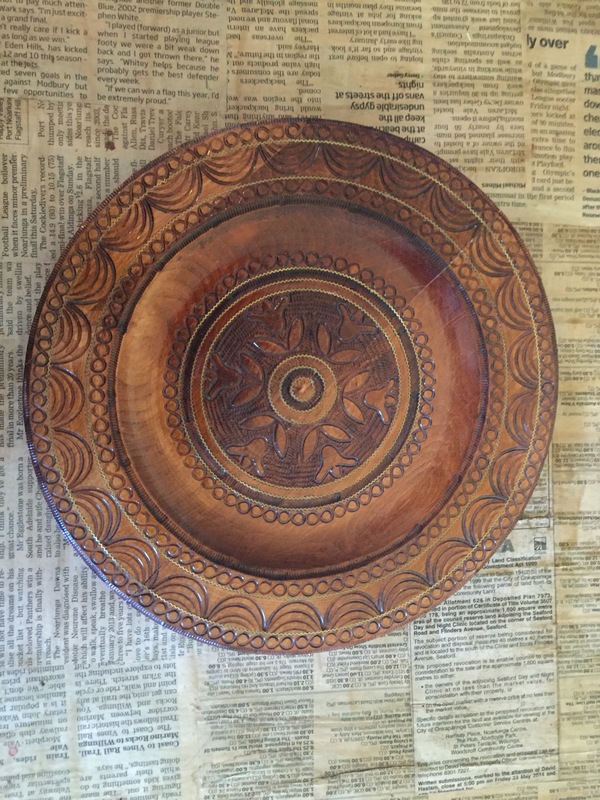 This cute carved wooden plate will make a great addition to a gallery wall somewhere in my home. 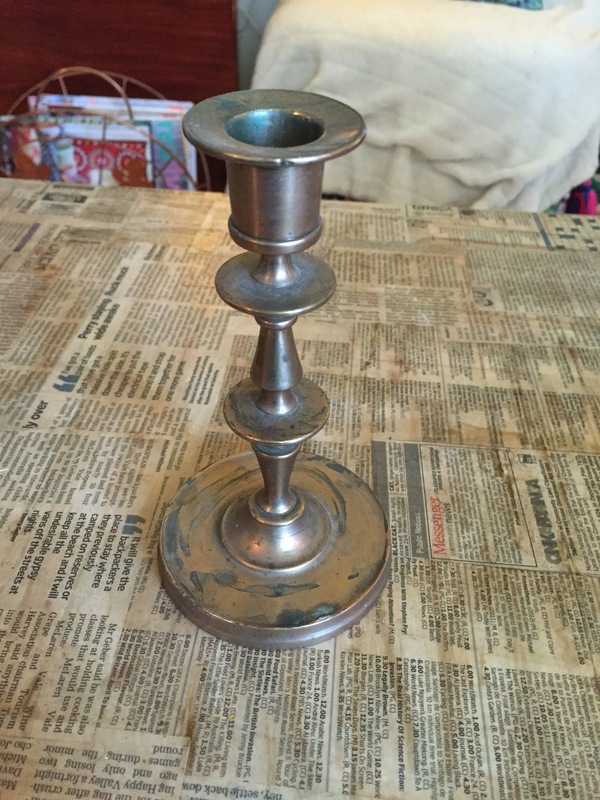 A bit of a polish and this brass candlestick will look fabulous! $2!!! 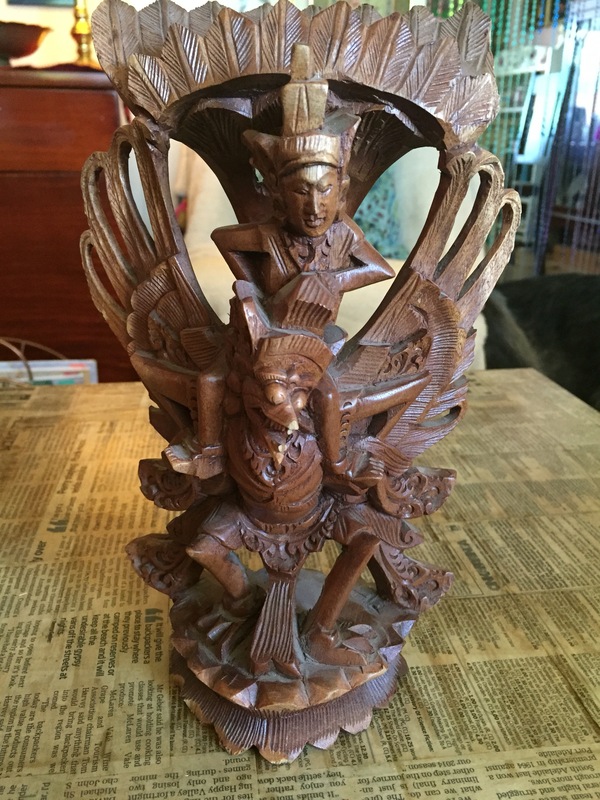 This carved Indonesia sculpture was such a bargain, I love it! 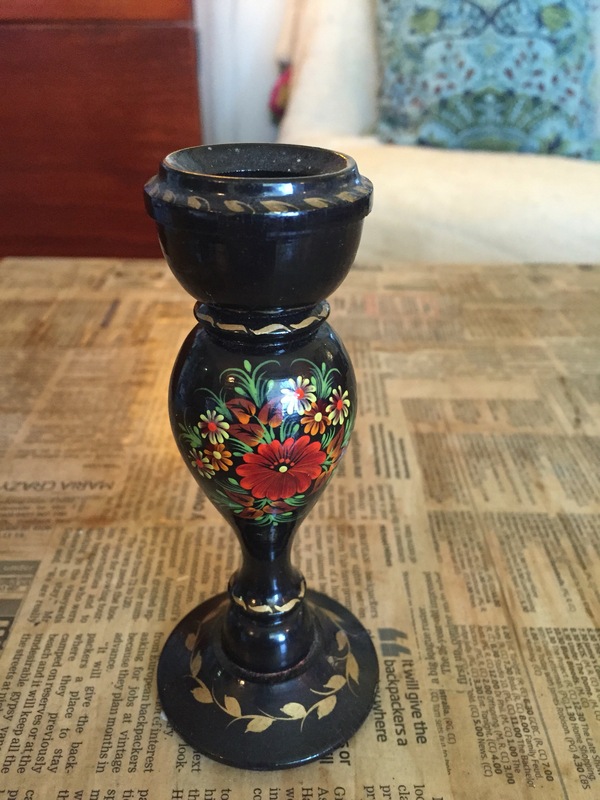 And how cute is this Russian candlestick? 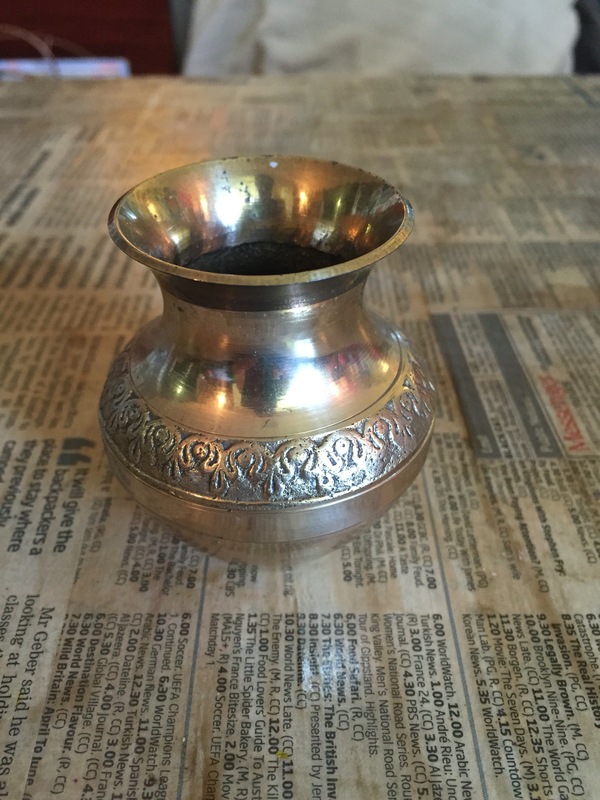 This very pretty silver lotus candle holder!! 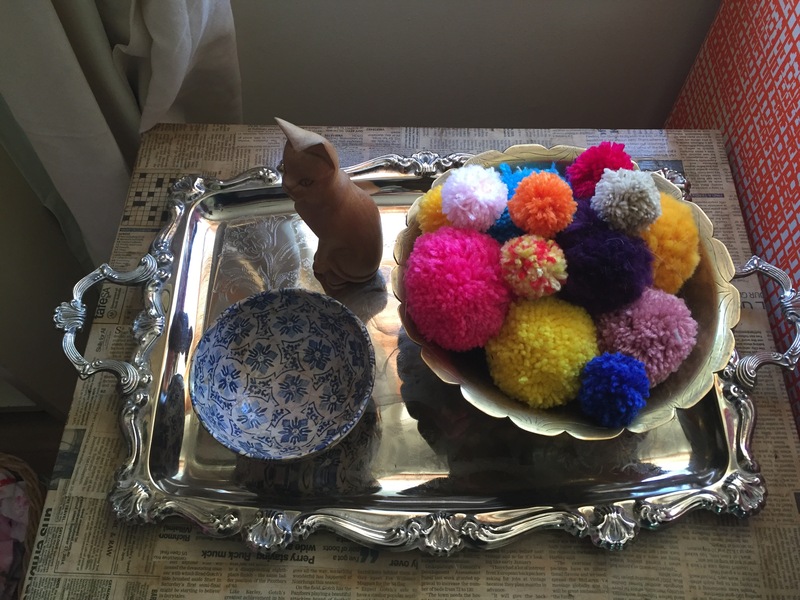 And a silver tray to corral some of my stuff! My love of vintage, pre-loved bargains knows no bounds, and the hunt is almost as good as the feeling of finding something that sings to my heart!! 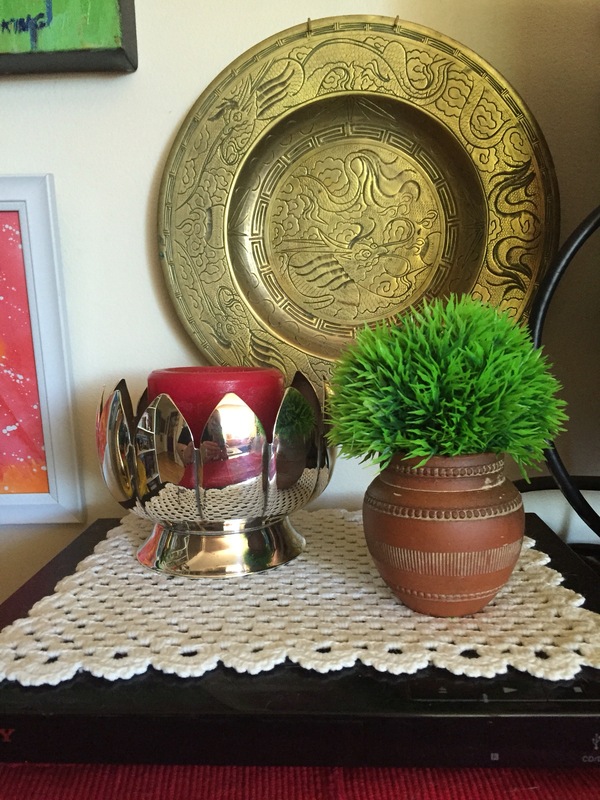 This entry was posted in Home DIY and Decor, Op Shopping, Upcycling and tagged antique, bohemian, ethnic, home decor, op sh, op shopping, thrift store, thrifting, upcycle, vintage. Bookmark the permalink. You’ve summed up the joy of opshopping perfectly! 😊😊 it’s definitely a joy!! Wonderful finds! You had a good day, didn’t you? You should have seen me when I brought it all home, sitting in my living room with all my treasure piled around me…. Like Smaug the dragon or something!!! !